With seven weeks remaining until Fredericton’s makeshift out-of-the-cold shelter shuts its doors, the City is asking the province for a plan by April 1. The temporary overnight shelter, located at 791 Brunswick Street is set to close on March 31. The shelter was patched together quickly last fall when the community rallied together to ease the number of people sleeping on the streets this winter. Monday night, council approved to send a letter to the minister of social development, Dorothy Shephard, asking for a plan from the province. “We’re really just asking the province to take on its responsibility of taking care of the homeless,” said Coun. Kate Rogers. 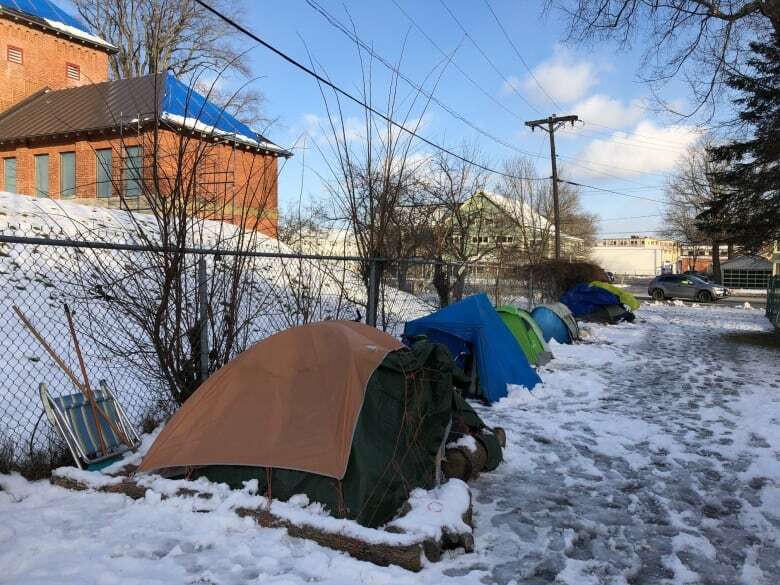 The letter from Mayor Mike O’Brien asks that the Department of Social Development and the Department of Transportation and Infrastructure work together to identify a temporary shelter location, different than the current property, but somewhere that’s able to accommodate the current demand. The current shelter operates largely on volunteers, in the property donated by the Anglican diocese of Fredericton to the Community Action Group on Homelessness. Zoning issues were a problem when the community worked hastily to set up the shelter last fall. Fredericton and the province worked together to make quick, temporary changes to allow the out-of-the-cold shelter to operate in the former Anglican bishop’s house. The current out-of-the-cold shelter is in Rogers’ ward. She says there haven’t been any major concerns with the shelter in the residential neighbourhood , but keeping it there just isn’t an option. Rogers says right now the City is hoping to hear back from the province as soon as possible to avoid having people on the streets again in April — which is typically still a cold month. “[The city doesn’t] have the resources and the services to provide assistance to [the] homeless,” Rogers said Monday evening after the council meeting.